One of my childhood inspirations…. - Luce Puppet Co.
One of my childhood inspirations…. 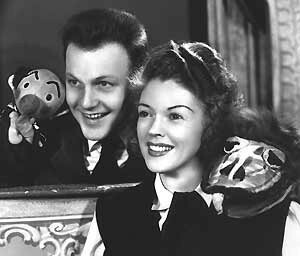 I loved, loved, LOVED “Kukla, Fran, and Ollie,” and still do to this day. They are very special. The TV show played during the early days of television (1947–1957) and Burr Tillstrom, the puppeteer, would arrive at the TV studio with a loose plan in his head for the show, but mostly he just improvised, even though the show was broadcast live! This would never happen nowadays, of course. There was a set of puppet characters and also Fran Allison, a warm and gracious lady who stood out in front of the stage and talked with the puppets. Although Fran served as “straight man,” she was what made all the funny puppet characters and their special world work so well. She believed in them, and we did too.